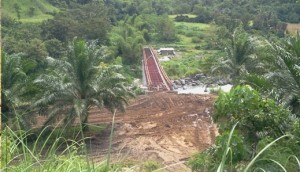 The Municipality of Impasugong, Bukidnon has undertaken the implementation of Infrastructure Projects and Capacity Building through the Grassroots Participatory Budgeting Process (GPBP) formerly the Bottom’s Up Budgeting under the Local Poverty Reduction Program (LPRP) of the national government. Among the projects implemented for CY 2012-2014 are the Rehabilitation of Impalutao Level III Potable Water System, Rehabilitation of Small Water Impounding Project at Bulonay and the Concreting of Pinaanan-Dumalaguing Farm to Market Road. For Capacity Building, the Department of Social Welfare and Development conducted the Skills Training on Bamboo Craft Making, Oil Palm Amakan Making and Abaca Handicraft Making. This takes part in the Sustainable Livelihood Program of the national government. All these projects implemented are geared towards the socio-economic development of the municipality thus, uplifting the living condition of the general public. Other Projects are yet to be implemented in CY 2014 for poverty reduction. Dumalaguing is a far-flung barangay of the Municipality of Impasugong, Bukidnon which is one of the producers of abaca fiber, coffee and high value crops. It is 10 kilometers from Poblacion and the transportation of its goods is undertaken through single motorcycle. As such, the local government in partnership with the Department of Agriculture implemented the Concreting of Pinaanan-Dumalaguing Farm to Market Road. 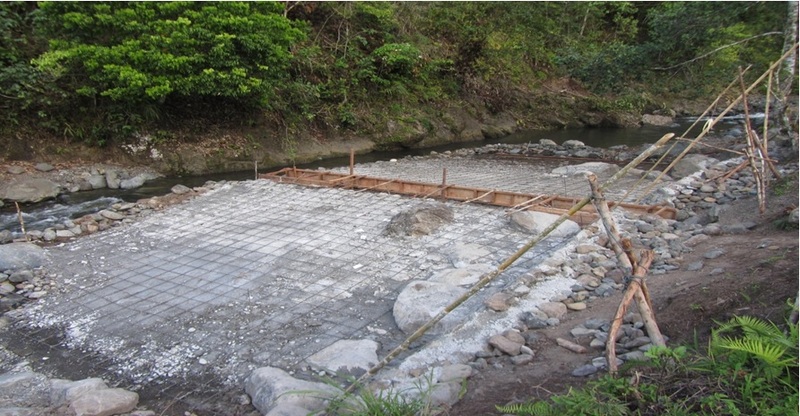 Phase I of the project covers the Concreting of 0.360 Kilometers while Phase II covers the Concreting of 0.60 kilometers. The project, foremost, is directed towards providing an easy mobilization of goods and services in the barangay which will pave a way in its economic development. Thus, upon implementation of the project, it receives a positive feedback from the residents. As of July 31, 2014, 50% of the total project cost is downloaded to the local government and the project implementation is on-going. 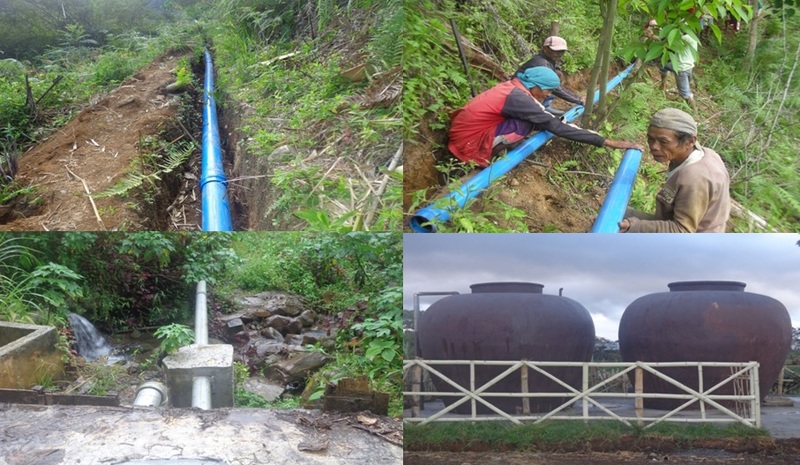 The Local Government of Impasugong, Bukidnon in partnership with the Department of Agriculture, implemented the Rehabilitation of Small Water Impounding Project (SWIP) at Barangay Bulonay under the Provision of Small Scale Irrigation System Project of the national government. This is parallel to poverty reduction, aiming to improve agricultural productivity of farmers and enhanced rice production. The Rehabilitation of Small Water Impounding has a total project cost of P1,638,680.00 and as of July 2014, 50.21% of the Program of Work is accomplished. Bulonay is the farthest barangay of the Municipality of Impasugong, thus, the project can greatly contribute to its socio-economic development. The people therein truly feel grateful especially the farmers who are into rice and vegetable production. The target beneficiaries of the SWIP are the 276 households or 1,515 individuals at Bulonay. Barangay Impalutao is one of the beneficiaries of the SALINTUBIG, a program of the national government through the Department of the Interior and Local Government which signifies Sagana at Ligtas na Tubig sa Lahat. This brought into the Rehabilitation of the Impalutao Level III Potable Water System (Phase I), undertaken in partnership with the Local Government Unit of Impasugong. The project has made a big impact in the lives of the residents of said barangay, who has been experiencing inadequate supply of potable water. By now, it is already completed serving the entire population of Impalutao including its nearby sitios – Upper Tulogan Quisumbing and Rocha. The Rehabilitation of Impalutao Level III Potable Water System (Phase I) has a Total Project Cost of TWO MILLION EIGHT HUNDRED THOUSAND PESOS (PhP2,800,000.00).